WinSCP 2.0.0 0 out of 5 based on 0 ratings. RSA keys authentication (SSH-1-only), including support for Pageant and agent forwarding. Possibility to choose preferred encryption algorithm (3DES, DES, Blowfish). Different initial directory for each session. Some options for temporary adaptation of remote system for WinSCP needs (clearing aliases, forcing LS command to display file group name, unsetting user variables influencing national environment). Sending of null packets to keep session active. Stored session list. For each session you can configure following options: username, server name, port number, RSA key file, SSH protocol version, preferred encryption algorithm, compression usage, TIS/CryptoCard authentication, agent forwarding, sending of null packets to keep session active, initial remote and local directory, shell used, return code variable, looking up user groups, clearing aliases, aliasing LS command to display file group name, remote system EOL characters. Logging to specified file or separate log window. Selectable program interface. First interface is two-panel environment similar to Norton Commander. Second option is Windows Explorer-like window. 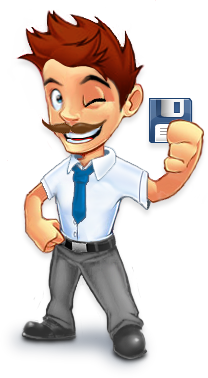 Drag&drop support for transfering files (between panels, between WinSCP and other applications including other instances of WinSCP). Moving (not copying) files using drag&drop is disabled by default due to possible data loss. This feature can be enabled in preferences window. Configurable program interface: adjustable toolbars, option to show hidden files, etc. Back and forward buttons to walk thru visited folders on both local and remote directory. Folder can be opened even by typing its full name from keyboard. Files can by sorted by values of all columns in directory listing. New or stored session can be open from menu. Batch file transfer continues even after error. Change of file group and file permissions merged into one Properties dialog. In same dialog it is possible to change file owner. Selectable file transfer mode: ASCII/BINARY. Recognition of appropriate transfer mode can be realized automatically by file extension. Files can be transfered to different folder than one opened in opposite panel. Status bar showing bytes received and sent indicator. Also SSH version, compression usage, encryption algorithm and session duration is shown. Function to clean up all data stored by WinSCP. Function to open WinSCP homepage in Help menu. Random seed file name generating and storing bug fixed. â€œConnection timeâ€ and â€œfile transfer durationâ€ indicators corrected. Directories containing devices and other non-standard files are now displayed correctly. File names containing some special characters (exclamation mark, plus) are now handled correctly. View style in Explorer interface is stored in configuration. Program doesnâ€™t fail when user attempts to copy file specifing name of existing file as target remote directory. Remote directory containing devices can be opened. Remote directory containing files with space in its group name can be opened. Return variable autodetect bug fixed. RSA key file name containing space can be used now. Program now handles safely error while deleting local file. Options to suppress setting file permissions and modification time for uploaded files (useful when overwriting files owned by other user). Ability to use scp2 with scp1 compatibility. File transfer protocol was modified. WinSCP should not â€œhangâ€ when downloading files anymore. (It was happening on some systems). Option to specify server response timeout. Fixed bug in TIS/CryptoCard autentification. It is possible to open directory even on system, where ls command doesnâ€™t print total â€¦ line. Option Clear aliases is now respected. When copying files to remote directory using drag&drop, proper dialog is shown now, that includes option to set file permissions. To set file permissions, the octal format is used now, when the permissions are known exactly. New option was added to Ignore LS warnings. It supresses warnings that occures during directory load. It is particulary useful on OpenSSH for Windows, where a warning is displayed each time, when root of system drive is opened, due to pagefile.sys. Fixed bug â€œAccess violationâ€ while closing application. New style for Windows XP. Configuration may be optionally saved to INI file instead of Registry. Optional Windows Explorer-style selection even in Commander inteface. Function to store current session to session list. Option to hide columns in directory listing panel. Overwriting files in local folder requires confirmation. Option to disable overwrite confirmation. Inaccessible directories maybe optionally hidden. Tabs on login dialog with advanced options (Advanced, SCP, Logging) are hidden by default. They can be shown using Show tabs with advanced options checkbox on Basic tab. When autodetection of return code variable fails, the connection is terminated immediately. Thread error on Windows 95/98/ME is maybe fixed. Bug â€œError reading LogImages->Bitmap: Failed to read ImageList data from streamâ€ on Windows 95/98/ME is fixed. Fixed bug while changing local drive. Installation package for this version is available. New function Keep remote directory up to date that watches all changes to the local directory. All new and/or modified files all automatically uploaded to the remote directory (this function is only available in the Commander interface). Compare directories function. It marks files in both panels, that does not exist in opposite panel or that are newer (this function is only available in the Commander interface). Both new functions may be invoked from Commands menu or from new toolbar Commands Buttons. Placement of INI file with configuration may be specified by command-line parameter /INI=path. New session option (Remember last used directory on Directories tab), which secures that on connect, last used local and remote directory would be opened. You can select directory from recent directories list in Open directory dialog for remote panel. In Explorer interface it is optionally possible to show full path on Address bar. Show tabs with advanced options setting is stored now. After files are moved or deleted, same file remain focused (whenever possible). Fixed bug, which caused that files moved to remote directory remained shown on local panel. Fixed bug while sorting or hiding columns using context menu. It is possible to work with files that begin with dash. You can rename file to a name of existing file. Option to disable delete confirmation. Checkbox Set permissions on copy confirmation dialog is off by default. Buttons Abort and All/Yes to All have different accelerators now.